Burl and Ingot is finally set up and ready for open studio hours! We are very excited to have regular volunteers there to train, loan, and swap tools. If you’re interested in stopping by for a tour, please contact us. 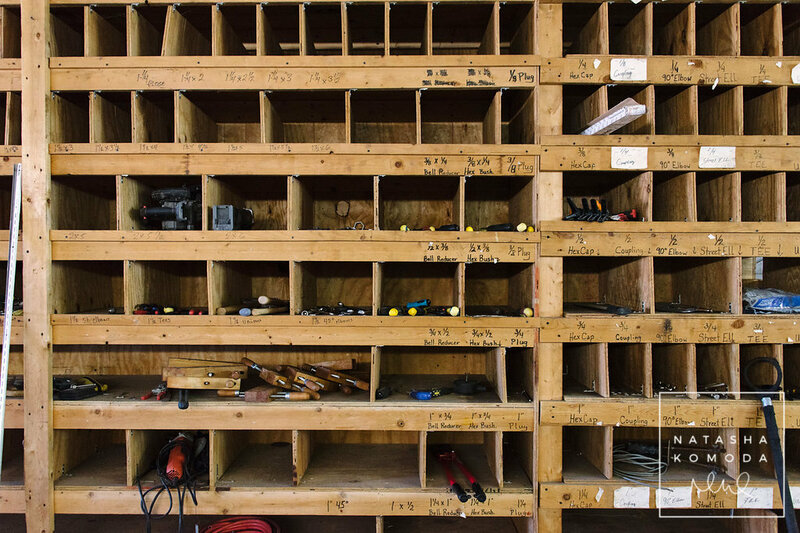 If you’re interested in donating tools to our tool library, you can visit our donation page for more information. For more information on our Tool Library daily workshop rates, please visit our Day Passes page. Art or Die is a fundraiser we have started to hold annually at our Burl and Ingot Tool Share library. This fundraiser is based on an art troupe that coined the term Art or Die. During this event, we take art that is unloved and abandoned at Artisan Alley and auction it off. The winning bidder of the art chooses if they would like to keep it, or destroy it with a tool of their choice. On January 11, 2019 Artisan Alley held their Art or Die fundraiser. We raised over $145 at this event, and we are so thankful to everyone who took part in the fun! We had over 10 pieces up for auction. Some abandoned pieces were taken home with the winning bidders, and some pieces were blow torched, hit with a sledgehammer, burned in a bonfire, etc. Our Burl & Ingot Workshops, formerly located at 1607 S Rogers, has been in flux recently. We received word that we would need to move from our Rogers location to make room for the new Switchyard Park. We moved in January of 2018 and were looking for the perfect new home for our Burl & Ingot Workshop and Tool Share Library since then. Recently, we have found a new, more permanent home at a brand new location. Our new buildings are located at 1305 1/2 W 11th St., near the corner of 11th and Adams St.
We have been working hard to organize, clean, and perfect our new location. Complete with workshop space, studios, and a tool library, we are finally ready to show off our new location! Borrow tools, learn to use heavy duty tools, and rent space in our workshop to complete projects. To learn more about our tool library, click here. To learn about our day passes, click here.